If you were promised a magic potion would let you burn calories while decked on the couch, make you feel stronger mentally and physically and improve your long term health would you be interested? You have probably already heard about strength training – it’s everywhere!. But have you actually listened? By the way it’s not just for older people (and hey we are all getting older), everyone needs to be doing some form of this exercise. It’s basically any exercise you do working your muscles against a weight or a force – such as free weights, weight machines, resistance bands or your own body weight – in order to increase your muscle strength. Lean muscle mass diminishes with age and your body fat will go up if you don’t do anything to replace this. You really need to be doing this kind of exercise in your twenties and even younger. Even the Irish Rugby Union’s website says this kind of resistance training enhances fitness and reduces the risk of injury with young players. Strength training is anabolic meaning it can stimulate muscle growth and is the only type of exercise that can address age associated decline in muscle mass and strength. Research has shown that strength training can help develop strong bones, reduce the symptoms of many chronic conditions such as arthritis, back pain, obesity heart disease, depression and diabetes. It can also sharpen your thinking and learning skills. According to physiotherapist Dominic Hoban not only will strength training help with muscle mass decline it will also enhance your quality of life and improve your ability to do everyday activities. “Muscle mass, and associated strength and function declines after the age of 30, especially so after the age of 50. Resistance training is a proven, and recommended, way to minimise this and will improved people’s function whether it be for sport or day to day life”, he said. He warned that you need to start slow and built it up. “Like any exercise program, injury can occur with overload. It is important to get advice on technique and start with lighter weights 2-3 times a week and aim for gradual progression”. 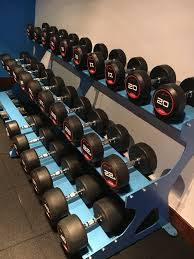 Jess Demicoli, a fitness instructor at Dartry Health Club, says “lifting weights will increase lean muscle mass and reduce body fat which means you will burn calories more efficiently for days after a class such as our Body Pump class”. “ Lifting weights speeds up your metabolism. In a class like Body Pump you get the rep effect – repeating exercises with weights that build strength and get the heart rate up. You burn more calories doing this type of training”, she said. Other classes we provide in the club such as Kettlebells and TRX are great for strength training. Ask at reception if you need advice. It’s really not enough to just do cardio anymore, whatever age you are. When you run you just use leg muscles and buttocks. With resistance training you will recruit a lot of other muscles. Running coach Adam Jones says it is crucial runners do strength training. “It is essential that all runners do strength and conditioning training in order to avoid injury”, he said. Jones, who is an athletics coach, advises that the content of any strength training plan be put together by a qualified trainer. The good news is that you don’t have to slog all morning as research shows that a single set of 12 repetitions with the proper weight can be as effective as three sets of the same exercise. To give your muscles time to recover, rest one full day between exercising each specific muscle group. According to the Mayo Clinic you need to choose a weight or resistance level heavy enough to tire your muscles after about 12 to 15 repetitions. When you can easily do more repetitions of a certain exercise, gradually increase the weight or resistance. You could do a class that incorporates strength training a couple of times a week. Or you could exercise in the gym yourself with machines and free weights. It could be useful to get a personal trainer to show you how to do this. You could work with them on a regular basis or just get one session to be shown the ropes. Technique is so important to avoid injury and get maximum benefit so before you add weight in a class make sure you can perfect the move. Anna Barry worked out with a personal trainer for two years at The Dartry Health Club and loved every minute of it. “For about two years I exercised 3 times a week with a personal trainer at The Dartry Health Club doing weights and resistance training which I felt strengthened my body for cardio exercises like running which then left me less prone to injury”, she said. “I think it’s very important as we get older to do this kind of exercise to stave off osteoporosis. If I hadn’t been going to a personal trainer I would never have gone!”, she added. So get a plan to incorporate some strength training into your exercise regime today. Putting a little effort in will mean you get a lot more out of life. We are here to help you every step of the way.